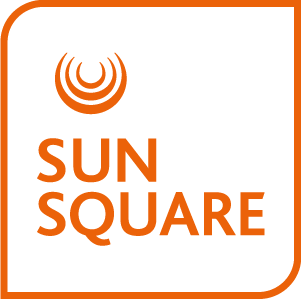 Situated on the corner of Buitengracht and Strand Street, the bustling location of SunSquare Cape Town City Bowl inspires visitors to explore the surroundings and get to know the city. Our new Cape Town hotel has dedicated basement parking for those travelling by car and planning on venturing beyond the City Bowl. After a busy day, return to your bright, modern and spacious room, meet up for a coffee in the spacious lobby or head through to Vigour & Verve, where great food and drinks are served all day long. The hotel has great connectivity and guests have access to free WiFi throughout the property. The modern conference space with five well-equipped conference venues can accommodate up to 140 delegates. The area has an attractive and spacious lobby which can serve as a place to serve welcome drinks before an event, breakaways during meetings or an alternative space for an informal small meeting. The stylish Rooftop Bar on the 14th floor is a welcome retreat for SunSquare guests looking to relax in style. The bar also offers access to the enclosed pool deck and opens onto an outdoor deck overlooking the picture-perfect Cape Town harbour and Lions Head. The gym located on the top floor of the hotel will satisfy guests looking to keep fit or work up an appetite before venturing out into the surrounding foodie district. With panoramic views of Table Mountain, you can determine this wondrous mountain’s mood before stepping out of the hotel.